Happy Friday to you! We are in the downswing here, 4 days left of school/work! Yippee! Now if we could only get our nice weather back, we'll be all set. 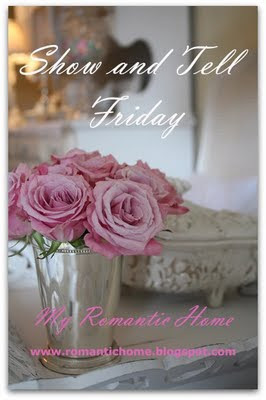 I would like to share a little something today for Cindy's Show and Tell Friday over at My Romantic Home. This is my grandmother's pitcher and bowl. As a child, I remember this always being on display in my parent's house. My mother told me years ago that I could have it. However, with my children being young and...um..."dangerous" around breakables, I thought it best to have this heirloom remain at her house for safekeeping. Well now my children, at ages 12 and 8, are not really any less "dangerous" than they were as toddlers, but I decided it was time to bring this beauty home anyway. Each piece is labeled on the bottom with Clementson Bro, England, Azalea. I have no idea how much they're worth, if anything at all. As far as I'm concerned, they're priceless based on sentimental value alone. You see, I never knew my grandmother. She passed away before I was born, so it's nice to have something that belonged to her even though I wasn't lucky enough to have known her. I cherish this piece and have placed it on my bedroom dresser. Hopefully, it will be a little safer there than in other areas of the house. 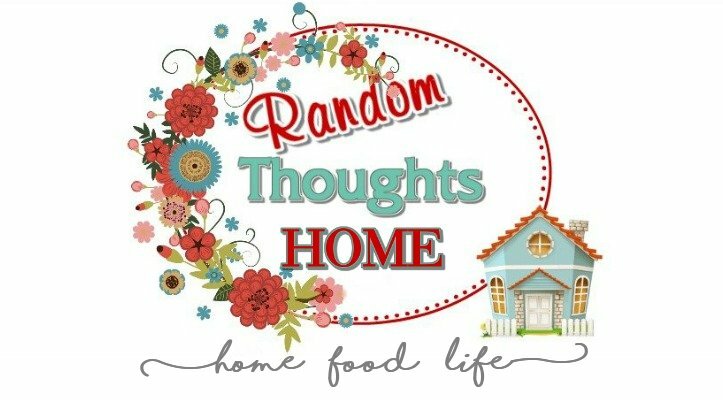 Pop on over to Cindy's and take a look at what all the others are sharing today. Wishing you all have a very lovely weekend! What a beautiful piece! You were probably wise leaving it with your mum while your kids were little as it is definitely an heirloom worth preserving. What a beautiful pitcher and bowl. Love the pattern on it. I have just lately been able to decorate after 3 boys! 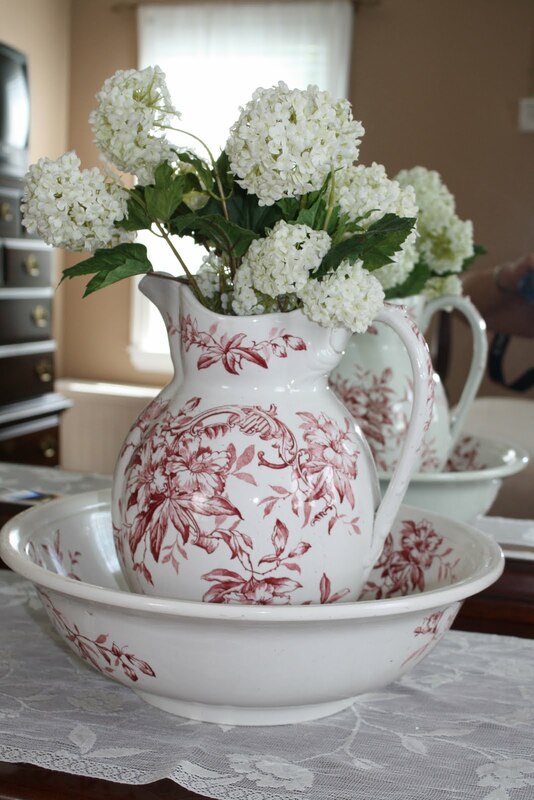 Gorgeous transferware pitcher and bowl. Very unusual color, too. Just lovely. Beautiful piece Gina. 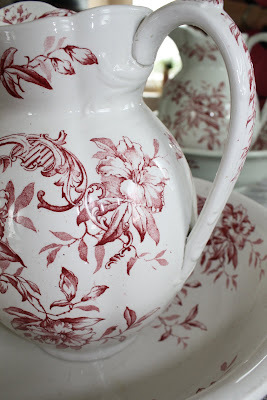 It would look pretty on your vintage blue dresser. It is so beautiful and I'm so glad you are treasuring it. Beautiful basin and pitcher! It's wonderful that you have such a treasured item....heirlooms are so very special. Beautiful!! I can see why you were so protective of it! Hope you are having a great weekend:) Are you done with school yet? It is a beautiful set! 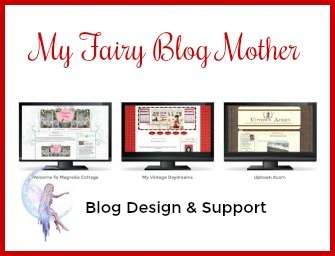 And I love to visit your blog...so that is why I have two awards for you. If you don't want to take them that is okay. I just wanted to let you know you have a great blog. It is me again...you can get those awards at my blog "Anna Clo't and Me"
That is the most beautiful Pitcher & Bowl I have ever seen! Great heirloom! It is truly a beautiful heirloom. Oh, and I just read your post about your blue dresser...too cute. Love the color and it looks perfect in your sitting area. Your hubby is such a sweetie for going out and getting it for you :-) Hope you are doing well my friend. By the way, it's been a little difficult for me to post lately. Haven't been feeling like myself. I have a doctor's appt. soon to try to figure out what's up. Hopefully it's nothing...Thank you for being a sweet and caring friend. Have a wonderful day.